Are pirated goods just free advertising? Speaking at the Midem conference in Cannes, Rovio Mobile's chief executive Mikael Hed claims that the company has learned from the music industry's mistakes when dealing with piracy. "We have some issues with piracy, not only in apps but also especially in the consumer products," said Hed. "There is tons and tons of merchandise out there, especially in Asia, which is not officially licensed products." He went on to say that Rovio believes it's a waste of effort to take pirates to court, except in cases when the pirate products are harmful to the Angry Birds brand or cheating fans. "Piracy may not be a bad thing: it can get us more business at the end of the day." 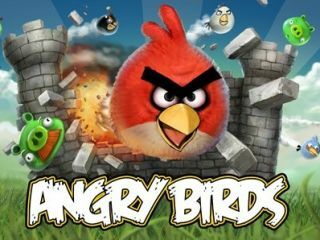 Instead, the company sees the products as a way of getting the Angry Birds brand greater coverage. Even though the money made by the pirated products doesn't go to Rovio, it's also money that Rovio potentially doesn't have to spend on advertising. This is Rovio's favoured approach after taking note of "the rather terrible ways the music industry has tried to combat piracy." However, it has also followed the music industry's approach in other ways: "We took something from the music industry, which was to stop treating the customers as users, and start treating them as fans. We do that today: we talk about how many fans we have," Hed said. "If we lose that fanbase, our business is done, but if we can grow that fanbase, our business will grow." Rovio has also been in talks with music labels about promoting music content through its apps, referring to Angry Birds as a "channel" that can be used for cross-promotion.